Depth Team’s lead developer, Alex Quick, talks the thrill of multiplayer stealth in today’s Trade Secrets stealth interview. Ever since Splinter Cell: Pandora Tomorrow’s Spies versus Mercenaries mode, we at Sneaky Bastards have fallen in love with asymmetrical multiplayer stealth. 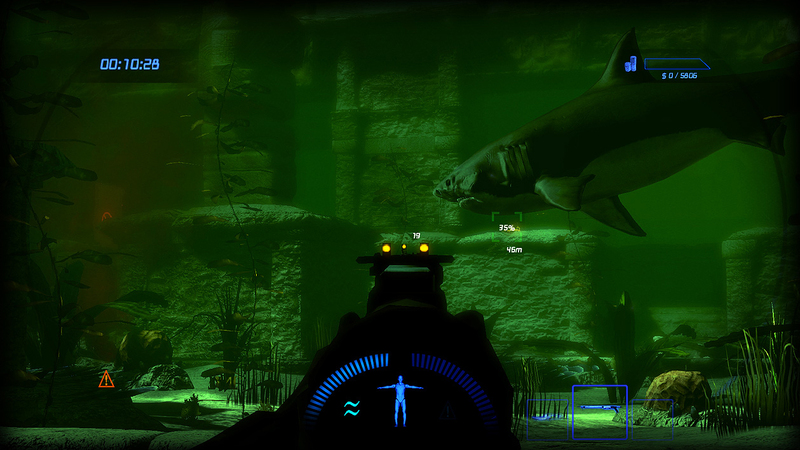 That’s exactly what Depth will provide: an aquatic stealth experience that pits a team of divers against a team of sharks. 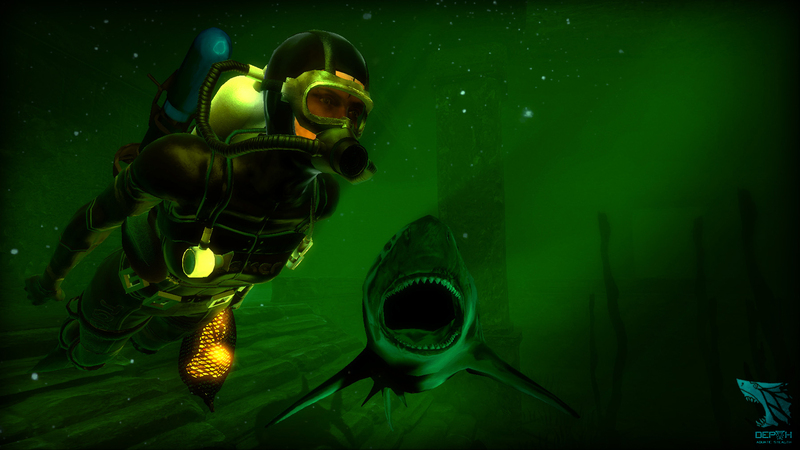 We spoke to Depth Team’s lead developer, Alex Quick (he’ll need to be to outrun a mako) about the stealth genre. Quick: I think it’s mostly a power fantasy thing. The notion of being able to move around unseen is pretty intoxicating. 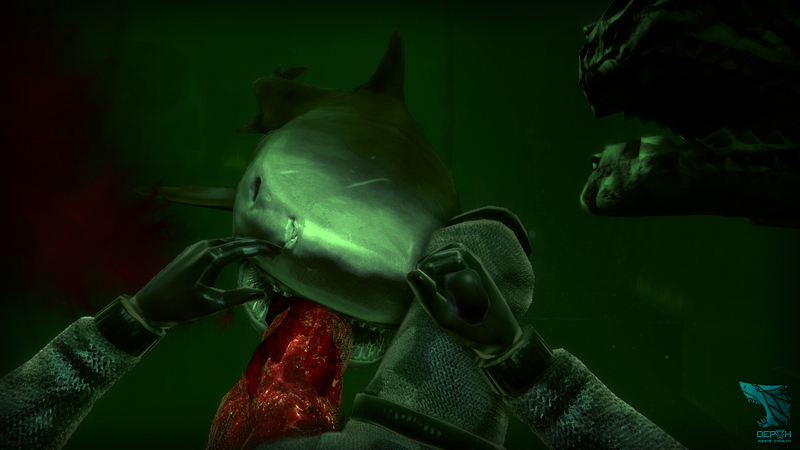 Also, it puts you in a position to do some sweet takedowns, which always beats facing an enemy head on. It’s always been a bit of a niche genre because the skills required to play stealth games are a cut above what’s asked of you in a typical run and gun. A lot of people probably don’t have the patience for long periods of waiting, or inching forward through the shadows. I do, personally. But that’s because I feel the payoff is (usually) worth the wait. I think choice is important. The most recent Deus Ex game showed how stealth and action gameplay could be married quite happily to one another, without compromise. ‘Pure’ stealth games can be a lot of fun, but they often enforce fairly harsh gameplay restrictions in order to keep the player sneaking (extremely limited health or overpowered enemies, etc). It’s a rare game that can make you feel both powerful *and* vulnerable. With Depth, we noticed that everything moves a whole lot faster in a multiplayer environment – people need to have something to do, all the time. So we’ve definitely leaned toward having stealth as a ‘layer’ to the gameplay, which can be focused on by choosing a more stealth-oriented player class, or used only occasionally. It’s a rare game that can make you feel both powerful *and* vulnerable. I’d definitely like to see more multiplayer-focused stealth games, for one. Traditionally, a lot stealth games have been singleplayer experiences where you learn AI patrol routes and exploit them. Fun , for sure – but matching wits with a real human player can be a whole lot more fun. Thanks, Alex! 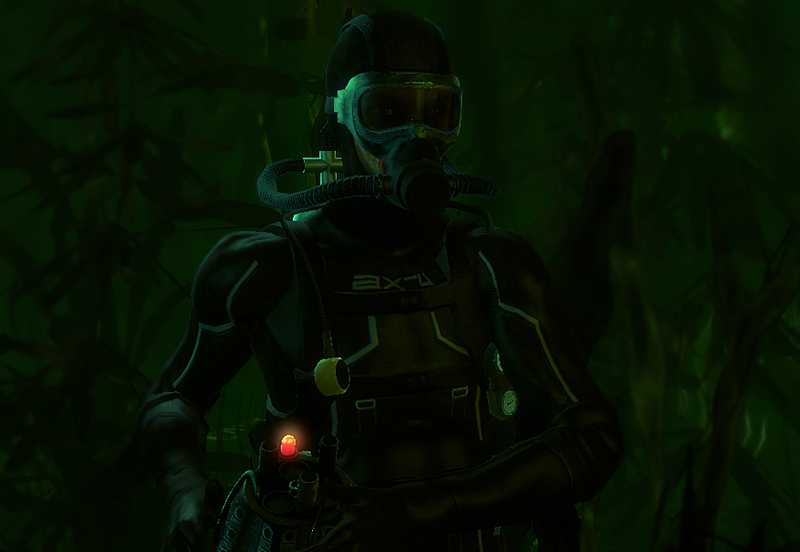 Swim back to the Trade Secrets hub for more stealth interviews, or return tomorrow when the series continues. Gunpoint's Tom Francis sneaks in to the Trade Secrets stealth interview series to give us his idea of a Psychic Hitman. Trade Secrets: The Stealth Interview Series concludes by way of a chat with Patrick Redding, Game Director on the next Splinter Cell title currently in development at Ubisoft Toronto. Saw the World Premiere live-stream of this the other day!! Looks so amazing and it was still only in it’s Alpha stage… It was really so astounding!